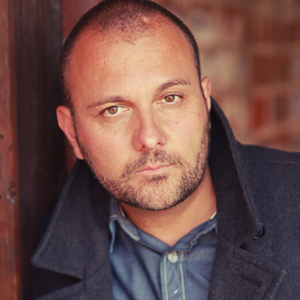 Stelio Savante is the networking dynamo at the hub of the South African community competing for stardom in Hollywood. But the prolific, award-winning actor and producer told SABLE that he has deep concerns over the impact of the collapsing Rand and of poor teaching skills on actors still developing their careers in South Africa. Savante – who was the first male South African to win a Screen Actors’ Guild nomination – has played opposite U.S. icons like Samuel L. Jackson and Susan Sarandon, and will soon be starring alongside Kathleen Turner and David Morse. In 2014, he was named Best Actor at the American Movie Awards for his lead role in Once We Were Slaves. But he says that, as a producer, he actively seeks out opportunities for a growing tide of South African actors – and that their entry needs echo those of South African entrepreneurs entering U.S. markets: active networking, collaboration and on-the-ground expertise. Although perhaps best known popularly for his starring role in the hit TV series The Making of the Mob, Savante has racked up broad critical acclaim for character acting roles in movies like A Million Colours and Where the Road Runs Out, as well as on popular TV series like Ugly Betty. Meanwhile, among actors, he is rapidly cementing a reputation as the champion of the theater world’s response to the 9/11 terrorist attacks, which he witnessed directly. In addition to being featured alongside Bruce Springsteen and others in a major documentary about the cultural response to 9/11, Savante produced and starred in the iconic play to mark the 10th anniversary of the attacks – called 110 Stories. He will soon be starring in another Broadway play on 9/11, called Jeremiah 5:1, opposite Kathleen Turner, whom he brought in for the role. In keeping with his appetite for complex and conflicted characters, he will perform the true-life role of a terror suspect who undergoes intense inner struggles, as law enforcement officers seek to recruit him as a double agent. He will next be seen on the big screen in a major family movie by Lionsgate, Army Dog – which is already a top-trending film on VOD – and in the biopic Eisenstein in Guanajuato, which has attracted a major award nomination at the Berlin International Film Festival. Savante’s work rate is now up to half a dozen major projects per year, for stage and screen – where he also often serves both as actor and producer. Remarkably: this prolific output coincides not only with his long-standing battle with Celiac disease, but also with a newly diagnosed disorder called Hashimoto’s Disease – an immune system illness which also triggers depression. Savante told SABLE that his work rate was partly because of these illnesses – rather than despite them – as he has found that the focus on his acting craft helps keep the symptoms at bay. Of the more than one hundred successful South African-born professionals this writer has interviewed in the U.S., Savante is among those who stand out for their astonishing generosity of spirit, and their honest fidelity to their roots. Like surfing legend Shaun Tomson – who is dedicated to empowering youth in both the U.S. and South Africa with life-saving decision-making tools – and Dr. Mankekolo Mahlangu-Ngcobo, who champions human rights causes in both countries, both great and small, Savante‘s commitment to truth and authenticity have remained profoundly unchanged, even as his skills and acclaim have soared on the biggest stage. You see it in the characters he plays; in the opportunities he creates, unsolicited; in the casual but courageous candor of his interviews. As a beacon for burgeoning South African actors to follow as they look westward, it is somewhat removed from the searchlights of Academy Awards glamor, but is perhaps a better kind of bright. Savante says incoming actors could benefit from the linkages and advocacy of established U.S. networks for South African talent, such as the SABLE Accelerator. He says mentorship from established producers and actors in Hollywood is increasingly important, partly because of the poor standard of training and preparation within South Africa’s domestic film industry. Meanwhile, the Cape Town-born star says the collapse in South Africa’s currency in the past two years represents a direct threat to promising talent, and to the through-put of breakthrough South African stars in Hollywood. “A lot of South African artists back home are starting to get very nervous – simply because the currency is getting worse and worse. It's hard enough being an actor there, and needing a second job to pay the bills – but their acting paychecks are rapidly becoming worthless; certainly, as a resource to leverage an international career. Savante is drawn to roles and scripts that serve to enlighten, provoke or explore compelling issues relevant to society – and he admires those artists who have added to the craft in those areas. Stelio Savante is a South African born New York actor, producer, and writer living in the United States. Born in Cape Town, this New York actor and SAG nominee is one of South Africa's most successful exports. Has been a steady product of lauded independent and foreign features that have been distributed worldwide. In 2007 he became the first male South African born Screen Actors Guild nominee for his recurring role on Ugly Betty. He has also received outstanding critical reviews for his portrayal of a ruthless policeman in the South African film A Million Colours, and for his role as a Jewish prisoner in Once We Were Slaves; winning Best Actor at the prestigious American Movie Awards, the SOFIE Awards and IndieFest. Throughout his career, he has worked with some of the most respected names in film, television and on stage.